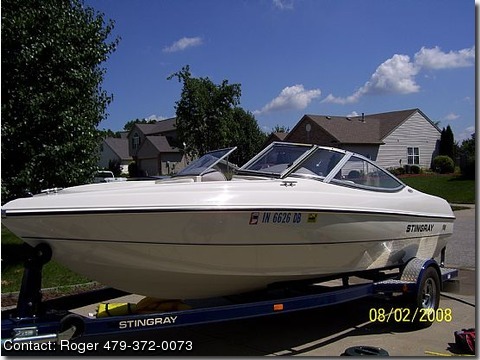 Like new 2006 Stingray 180RX Ski Boat for sale. Bought 2 years ago in August, used the boat twice that year, and was only used 4 times last year. The boat has never been stored outside, garage kept the whole time. I'm active duty Military and will be transferring at the end of the year. It is a turn key operation all life jackets and boating equipment come with boat. Also included will be a two man tube. This boat is like it came off the showroom floor.